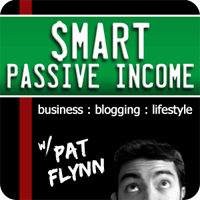 In this session of the Smart Passive Income Podcast, I explore the world of video and start from scratch with YouTube to show you exactly how I make sure I give myself the best chance to get the most views and have the most impact for my business and blog. As I mentioned in a previous article, Are YouTube and Podcasting Worth the Effort?, YouTube has been huge for me not only for traffic, but for engaging my existing audience and reaching brand new ones. I still get emails every day from people who say they have found me through YouTube, and it’s no wonder because 2 billion videos are viewed on YouTube every single day. Whether you’re on YouTube already, or have yet to create your first video, make sure you listen to this session to get the most out of your efforts.  In this session of the Smart Passive Income Podcast, I talk about creating YouTube videos to get most impact for you business and blog. How 30 videos of mine have been viewed nearly half a million times. How I overcame the fear I had when I first started uploading videos. Why the first video I uploaded to YouTube still embarrasses me, yet continues to earn money. The one question you should ask yourself if you ever get scared of doing anything. How to piggy back the success of already highly viewed videos on YouTube. How I record my “blackboard” instructional YouTube videos. A recommended free piece of screen recording / capturing software. The “sweet spot” time limit for videos. Example calls to action to include with your videos. What your Title, Description and Tag should really be.